Casino operators are always searching for ways in which to appeal to new audiences. Slot machines are one casino game they use to do this. Slot machines can be designed around themes from pop culture to draw in a certain demographic. With 2017 looking to be a big year for super hero movies, slot machines inspired by superheroes help appeal to a new group. Designed by Playtech, the Hulk slot machine game does a great job of representing the popular green character with many ways in which to win. With 5 reels, the Incredible Hulk video slot comes with 50 paylines. Another interesting aspect of this slot is that it is also linked to the Marvel Progressive Network which can provide a chance to win the growing jackpot. With a smash bonus, wilds and scatter symbols, the Hulk slot machine game is just as exciting as the character and you can read more about it at gamblinginsider.ca. A darker movie than other Batman instalments, the Dark Knight has also inspired a slot machine game. The symbols on the reels of this slot are characters from the movie including the numerous villains featured. Unlike other slot machines, the Dark Knight Rises uses actual photos from the movies in lieu of illustrations. This makes the feeling of the game even more true to the movie’s dark vibe. When the first Iron Man movie was released in 2009, audiences were captivated by the superhero and his alter ego, Tony Stark. A slot machine was soon released within a year. As subsequent instalments of Iron Man have hit theatres so have other slot machine games. However, the original Iron Man slot machine is still the most popular. With 25 paylines, players have 25 chances to win. When five Iron Man symbols appear on active paylines, a large payout of 5,000 coins in awarded. The superhero movie genre doesn’t appear to be going away any time soon. 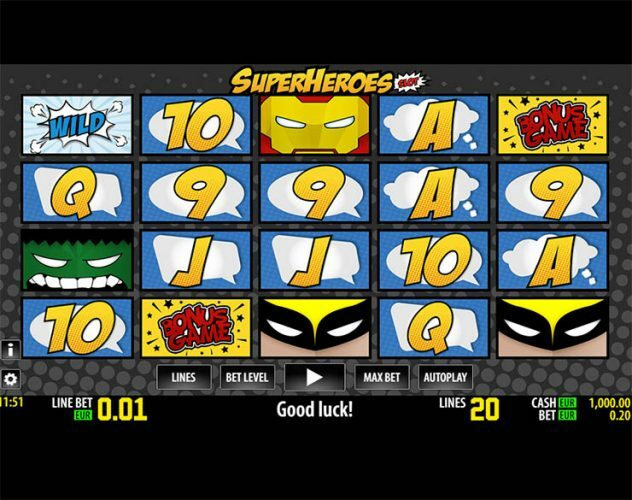 It will be interesting to see which super heroes will inspire the design of future slot machine games.